As you may recall, I attended the Styling Spring at Mine event back in April, and was lucky enough to meet lots of inspiring people, including the lovely Olivia from Bloom and Wild. 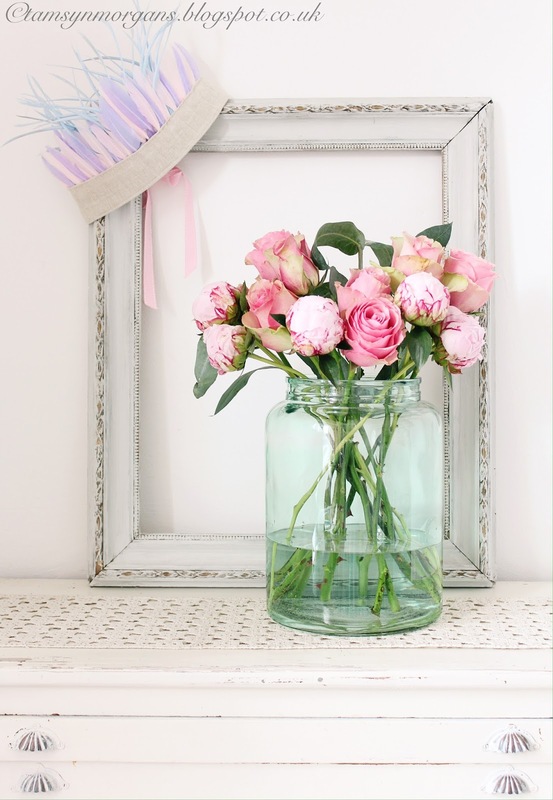 Bloom and Wild supplied all the beautiful flowers for our floral styling workshop. 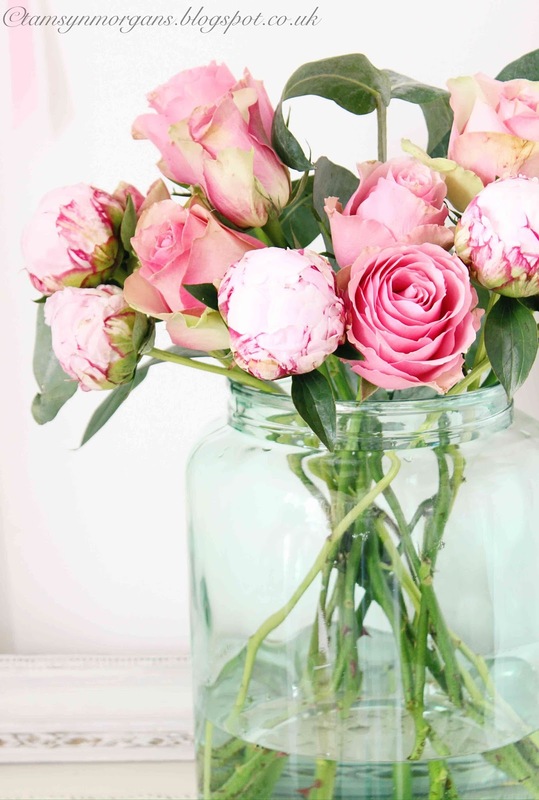 I was so excited when she asked if she could send me some peonies to play with, as they are one of my absolute favourite flowers. 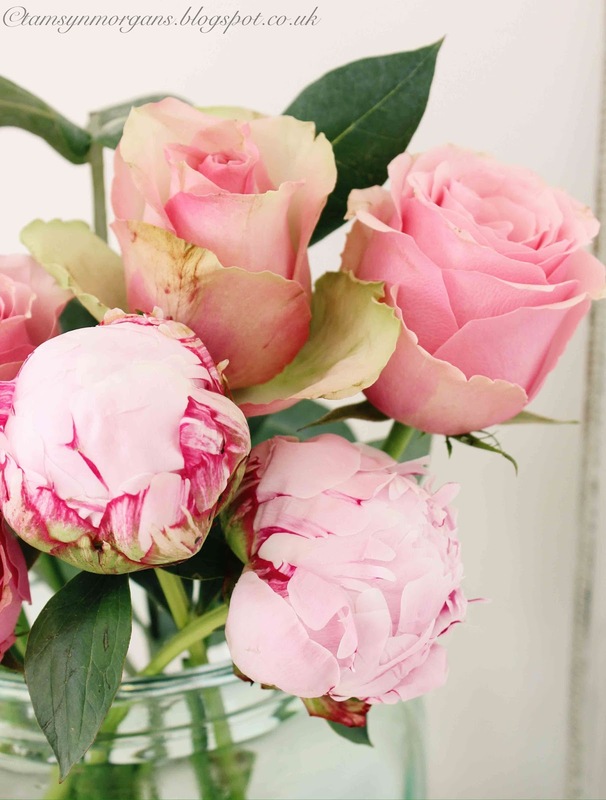 Peonies have such a short season, but are dazzling with their plump buds, bursting with frilly, candy pink petals. They arrived beautifully packaged (their clever packaging means that the box fits through your letterbox) with some sprigs of eucalyptus and the most divine vintage pink roses. 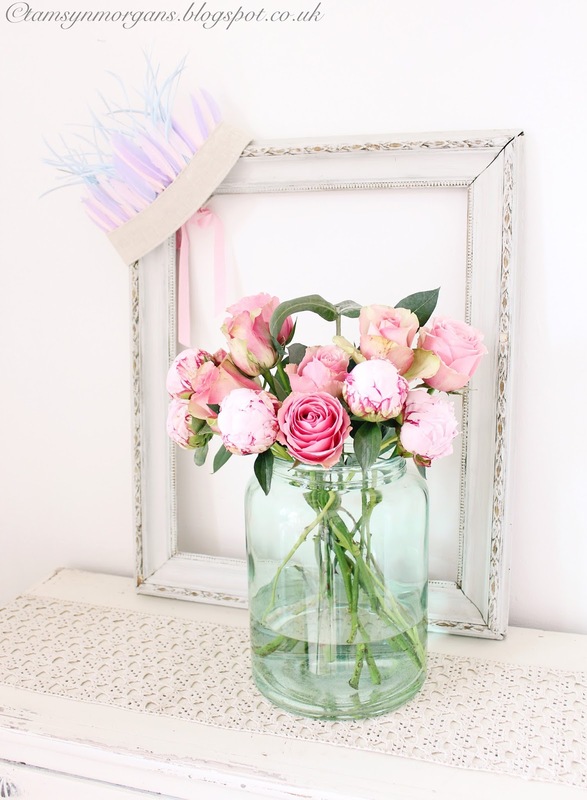 For a striking display, style them simply in a large jar or vase, and enjoy!